Your home is your biggest investment. Whether you are renovating your home, adding on to your existing one, or building that hard earned home of your dreams we can help. We have all the resources to start from your initial concept, work through all the stages of design until it is just right, and carry it all the way through construction until your home is ready for you to move in. Now is the perfect time to build or remodel your home. Why not let one company handle every aspect of your experience instead of running all over town trying to get architects, engineers, builders, and everybody else on the same page? We have all the resources at our disposal to handle the entire project. Wouldn't you rather spend your time doing other things than running around and worrying that everybody does their part? When you choose American Organization of Building Companies we handle every aspect so the only person that has to do there part is us, which we will do. We can design, engineer, renovate, or build your home from foundation to landscaping so that it is everything that you want it to be. If you would like to speak with us about remodeling your kitchen, updating your bathroom, adding an addition, renovating your existing home, or building a new one, feel free to contact us. 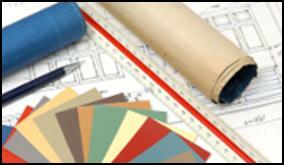 One of our Architectural Design & Building Specialist professionals will schedule a complimentary consultation with you.